Click image to enlarge Grant Lake, Washington. Grant Lake is at the base of Dog Mountain on the west. View from Washington State Highway 14. Image taken November 4, 2004. 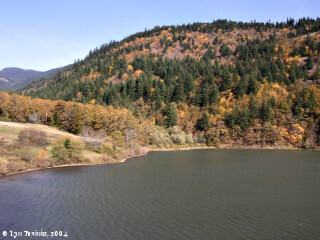 Grant Lake is a small lake nestled on the west side of Dog Mountain and east of the Collins Point Landslide. The lake offers fishermen peace and quiet all-year round. There is a small parking area on the east side of the lake for 2 to 4 cars. 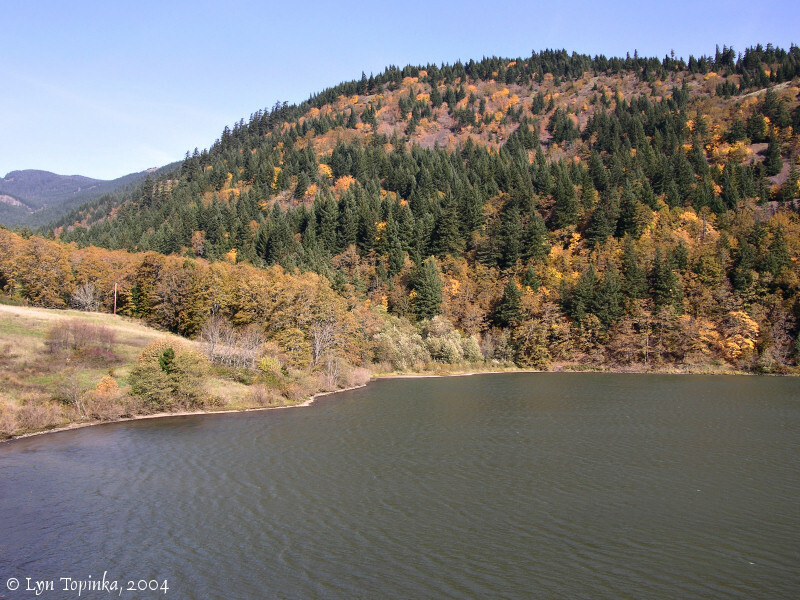 Grant Lake is fed by Grant Lake Creek which enters the Columbia at RM 158.4 and supports winter steelhead spawning. 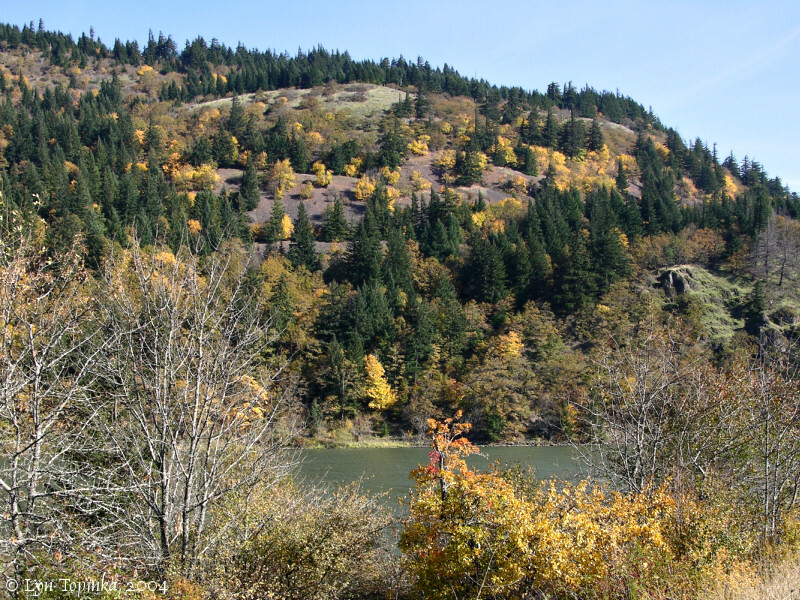 Click image to enlarge Grant Lake and the west side of Dog Mountain, Washington. Grant Lake is at the base of Dog Mountain on the west. View from Washington State Highway 14. Image taken November 4, 2004.